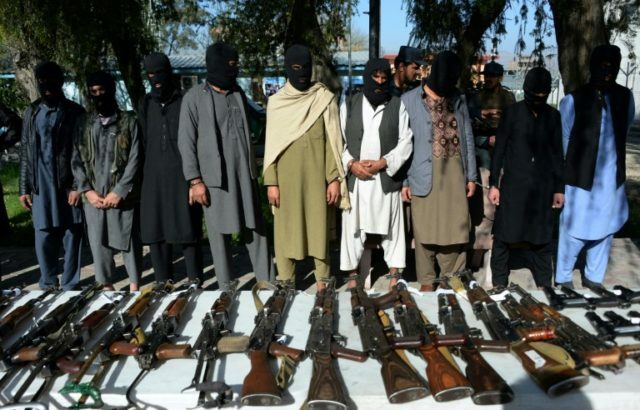 Some Taliban jihadists who have sought to engage in peace negotiations with the Afghan government have reportedly been forced to re-engage in terrorist activity over threats to their families from fellow Taliban militants. Some of the steps could include providing funding and setting up a system to remove certain groups from the U.S. list of terror suspects, which will help convince them they can return to their communities without being targets of American counterterrorism strikes. We have work to do. Some things need to be put in place to enable this. They need to know they can move back securely, live in safety. Reconciliation could be undermined, both by internal rivals and by Pakistan and other foreign influences. Afghan officials believe those insurgent leaders who seek to make a deal are being threatened, and that some have already been forced to back away following threats to their families. Afghan officials have identified interference by external actors like Pakistan, Iran, and Russia on behalf of the Taliban as undermining reconciliation, a significant component of the Trump administration’s Afghanistan strategy. With this support, the Taliban and the Haqqani Network have attained an unprecedented level of control and influence across the country. The Taliban has asked to discuss peace with the United States rather than Kabul, arguing that the troubled Afghan government is mainly beholden to America and, therefore, unable to make any major decisions on its own. Taliban jihadists are reportedly coercing some of their comrades to return to terrorism, threatening their families if they refuse. Some top leaders from the Taliban and their Haqqani Network allies who have expressed a desire to discuss ending the nearly 17-year war are concerned about protection for their families. The Pentagon considers the Haqqani Network to be the most significant threat to the United States and its allies. Afghan National Security Adviser Mohammad Hanif Atmar highlighted efforts to accommodate Taliban and Haqqani leaders who have renounced fighting “as sensitive, explaining it has long been standard practice for the families of influential officials to be held in other locations as a sort of collateral,” VOA reported. “That is the way [Taliban jihadists] are to be trusted,” explained Atmar. “It’s not a theoretical threat [against the Taliban and their families seeking to join peace talks]. It is real,” Atmar declared during a meeting with American officials in Washington. “There are brave leaders who would run the risk. They’re asking for a process by which they and their families are protected to engage in peace,” he also said. The current peace talks have been described as genuine and unprecedented. However, top Taliban leadership, including the group’s chief, have failed to endorse it, maintaining the complete withdrawal of American troops as a precondition that the United States has long rejected. Besides Pakistan, the U.S. military has identified Russia and Iran as Taliban supporters. Reconciliation is a major component of U.S. President Donald Trump’s strategy to end the war that started on October 7, 2001, left 2,263 Americans dead, and contributed to 20,291 injuries, including the loss of limbs and other serious problems.